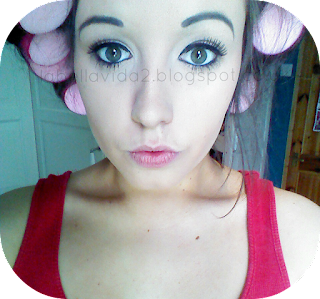 LaBellaVida: Sleep In Rollers Review! 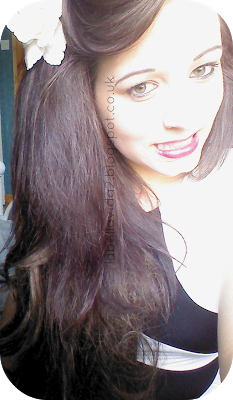 I am such a bad blogger, you can all virtually slap me right now! I, once again am so sorry that i've been missing in action on here for a while, life is busy busy! Anyway i'm here again with a bit of a beauty product review. Sadly, i've not done many beauty reviews of recent, mainly because i haven't been finding many new beauty products i'm actually loving! This is sad for me as usually i don't find this a problem but, nothing new is standing out for me just now :(! 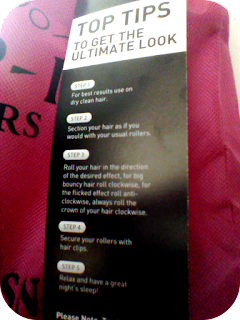 However, i have eventually jumped on the Sleep in Rollers bandwagon! I use normal rollers ALL the time, but as i tend to go out on Saturday nights, and i work during Saturday afternoon, i don't really have long enough to leave them in and have a good curl. 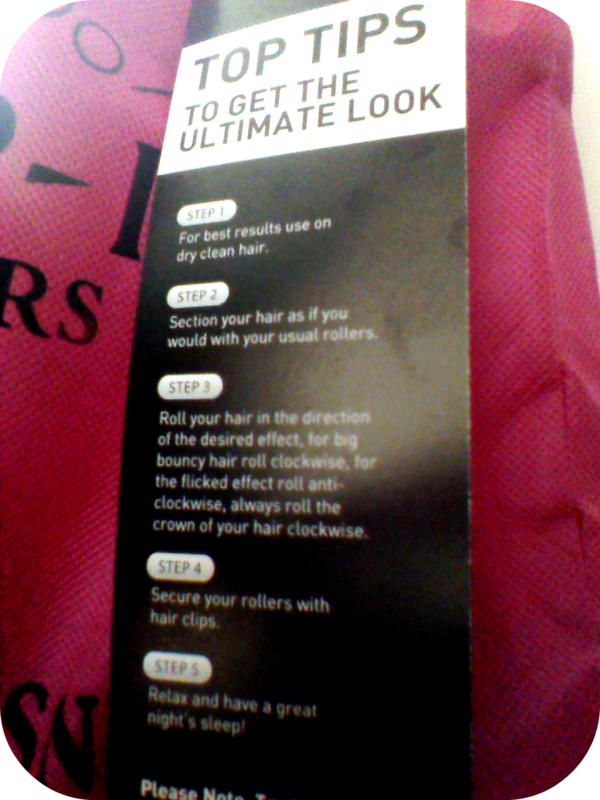 I had heard loads about Sleep Rollers since last year and debated whether to buy them on and off and eventually just never did. However, i have eventually invested and decided to give them a wee go! If you don't know, Sleep Rollers are basically a softer velcro roller with a squishy sponge center to makes them comfortable to sleep in, basically giving you amazing hair from the minute you wake up! 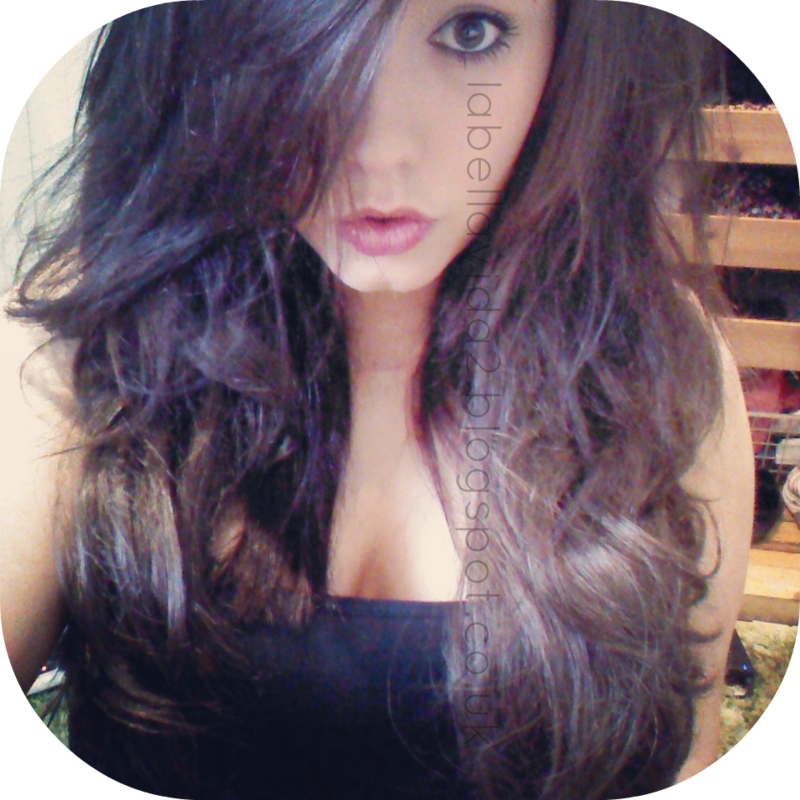 So i put the rollers in my previously blow dried, clean hair. I did however, use a spray bottle to dampen each section and after rolling secured each section with a kirby grip. Then, for the sleeping. I must admit, and if you follow me on twitter already, you will know i found this difficult to begin with and genuinely threw a little diva strop. Basically, when you first put your head down to sleep they feel awful! You have to sort of move the rollers around slightly to get them in a comfortable position. Now this is all fine and good if you are a heavy sleeper and are able to sleep in one position all night, but if like me, you wake up at any noise and move around all night like a worm, these are hell to begin with. I moaned and moaned to the point where i was almost ready to rip them out, throw them across the room and eventually get some sleep. However, somehow, at about 01:30, i managed to fall asleep. I think i woke up around three times during the night and eventually got up from bed at half seven. In the morning they don't hurt but some do feel a little tight for the first little while. Although i absolutely hated the feeling of these in my head when i first went to bed, i would say that i did get used to it once i had found a position comfortable enough to sleep in and did fall asleep with them in. I think after a few times of wearing them to bed i will probably get more and more used to them and be able to get a longer sleep with them in. Someone even suggested to me that you sleep with one of those long, curved pillows and i can see how that might be a bit more comfortable, so if you are having trouble sleeping with your sleep rollers in maybe give that a shot! Anyway, i left the rollers in while eating my breakfast and doing my makeup in the morning, got dressed, then began taking them out. Then for a function i went to, i styled it with a flower but i only managed to get this really awful picture while the sun is shining right in my eyes and i look really weird but, i don't mind you guys seeing me weird haha!.. Overall, i really love the effect the rollers had on my hair and in my own opinion this outweighs all the bad points! I actually think if i kept wearing them and got used to them i would be able to get a better sleep with them in and therefore would mean that the only con i found with them (sleeplessness) would be gone! 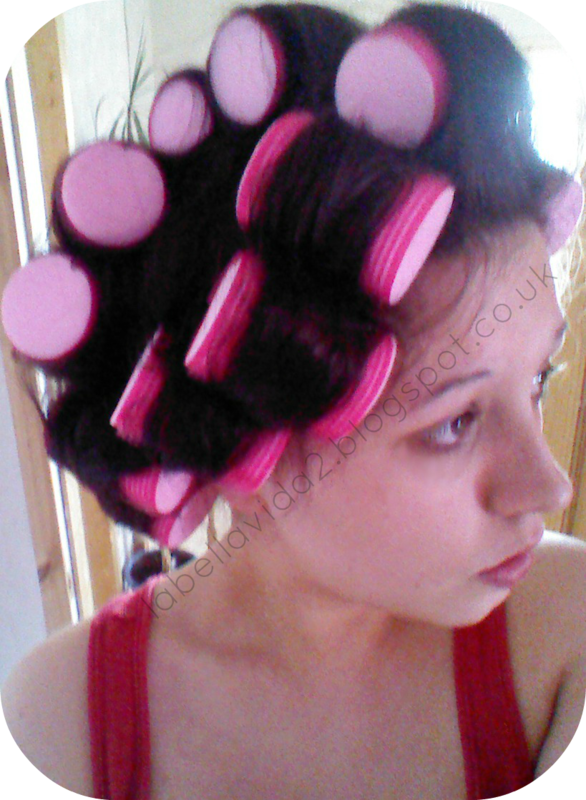 Have you tried Sleep In Rollers? Do you love them, or not a fan? They take a bit of getting used to! Not the easiest things to asleep in at first, especially if you're a light sleeper! Your hair after looks incredible, very hollywood! I have wanted to try these for ages! Love the blog! I'm now following! They are actually pretty hard to sleep in to begin with. I'm waiting for an even to try them again, I'm determined to get used to them!